Today a few of us decided to catch a Marlins game while we had a free day. The Mets were in town visiting and we got some great seats on the right-field side. 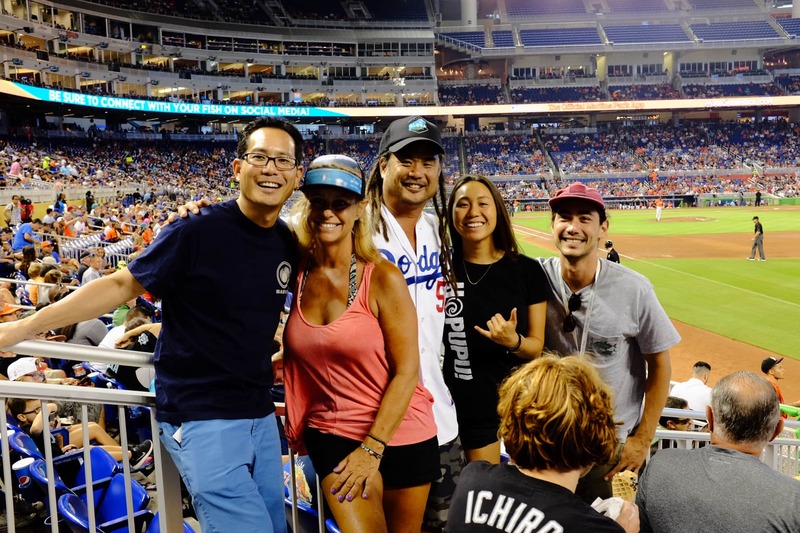 I had forgotten that Ichiro played for the Marlins, but when we got to our seats we noticed there were a lot of Japanese fans in the seats. Then I realized that we had the chance to see the great Ichiro! I’m happy I have gotten to see some great ballplayers during my lifetime. Besides Ichiro, I have seen Derek Jeter, Clayton Kershaw, Mike Piazza, Tony Gwynn, and Ozzie Smith among others. Hall-of-Famers! It’s so fun to visit the different MLB stadiums around the country. This was the 7th MLB stadium I have been to, and I’ve been to 3 in Japan. In the end, the Mets beat the Marlins 0-3 but we still had a fantastic time. I’m so glad we went!